They refused to leave his side. Last week, paramedics were called to rescue a man who had fallen and injured his head on a street in Chimbote, Peru. When they arrived, however, they quickly discovered he was not alone. During his ordeal, the wounded man's two dogs had remained by his side. With emergency crews on hand to help, they still refused to be parted. 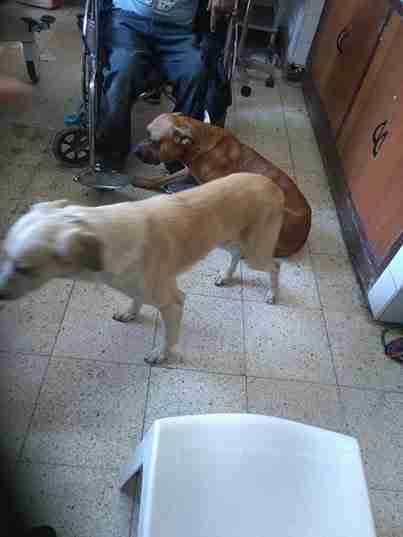 In fact, after the man was loaded into an ambulance on a stretcher, the pups hopped inside too. Best of all, as video of the touching incident shows, the dogs were allowed to stay and comfort their owner during his ride to the hospital. 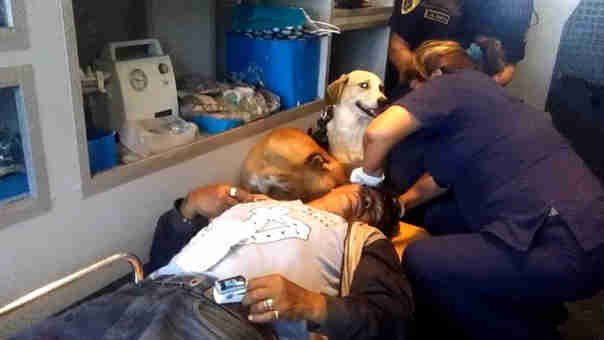 Once at the hospital, the dogs' deep desire to stay with their owner was readily apparent to his caretakers. Evidently, they let them stay, too. 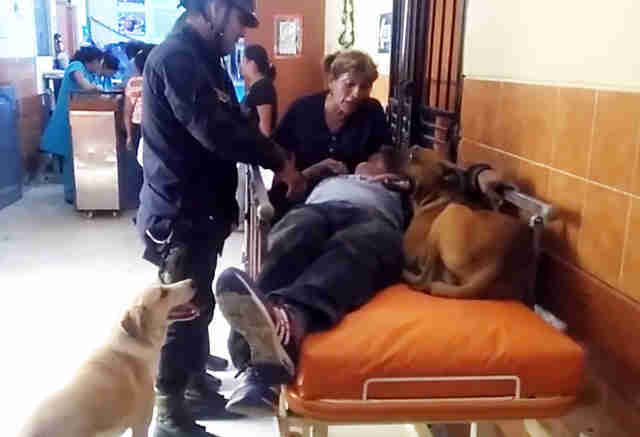 The man's current condition isn't known, but photos posted later that day by hospital intern Joha Morillas Zapata show him seated in a wheelchair with those two faithful dogs at his feet. Their gesture of love wasn't lost on her, either. "Example of loyalty," Zapata wrote. "The patients of the day."